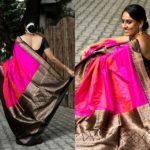 Silk saree is the symbol of ethnicity which is increased by the grace of a blouse. 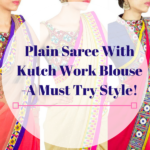 We have always mentioned the importance of a blouse and how it can make a saree look flawless and gorgeous. You cannot ignore the value of choosing an up-to-date designer blouse for your saree. 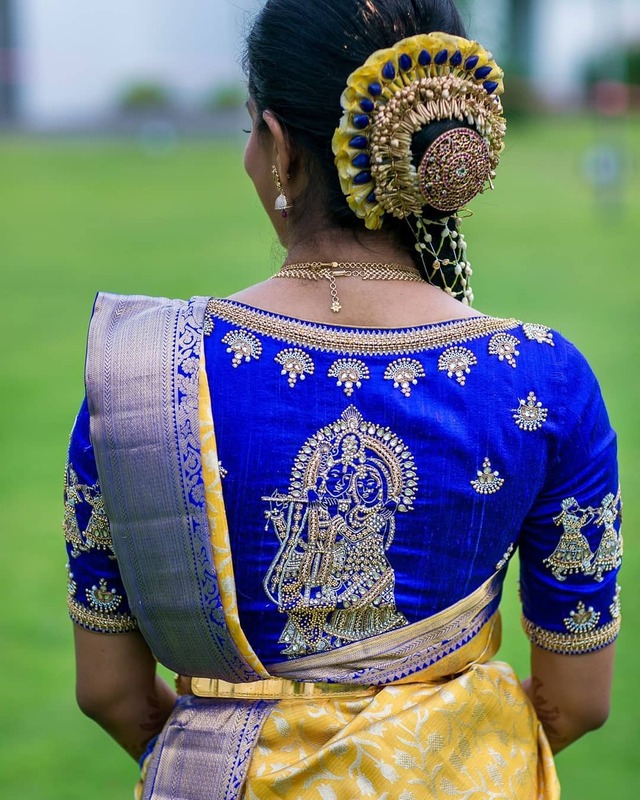 So, here you can find one of the finest blouse designs for Kanjivaram saree! This basic yet regal design cannot be neglected of its royalty. 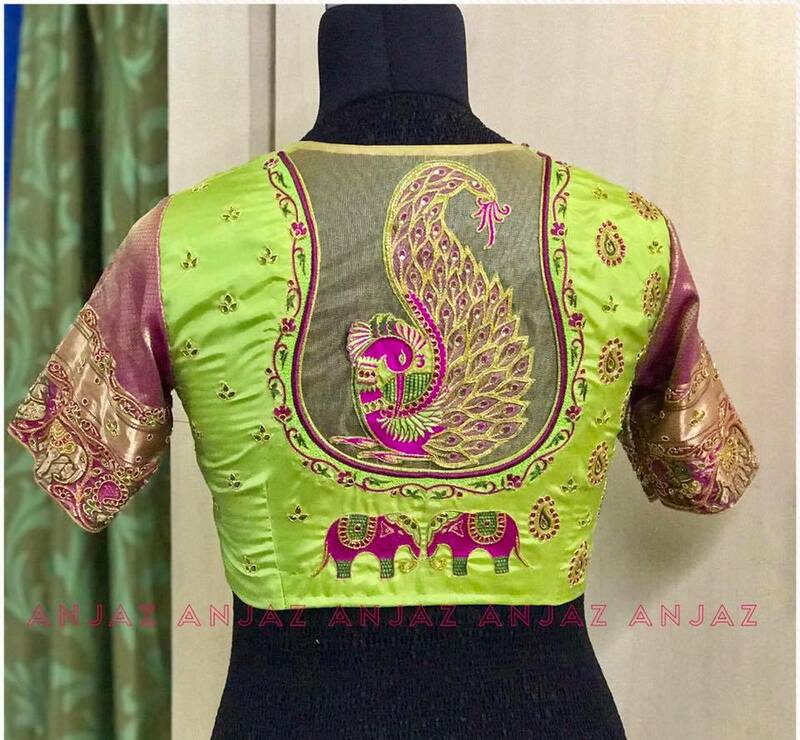 You can choose this blouse design over a plain saree with a combination of pink and green shades along with a broad golden border. 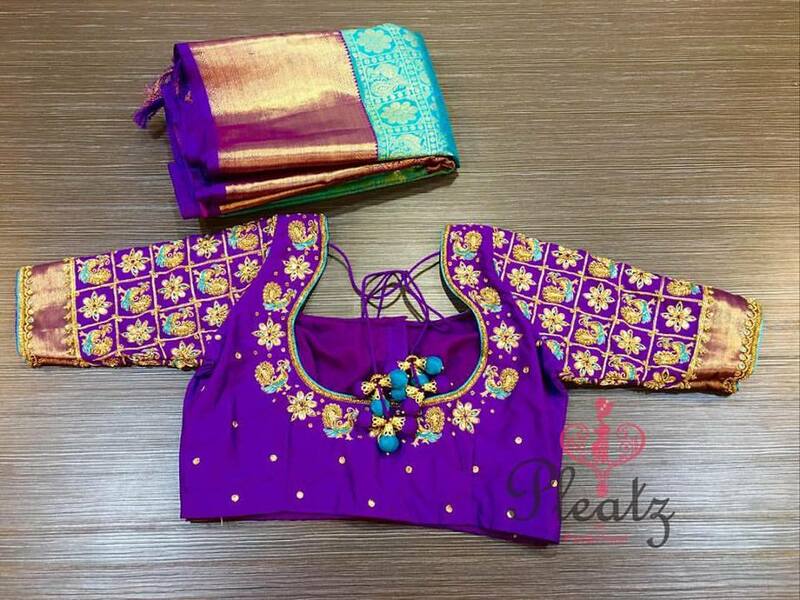 This blouse design can totally get you ready for the temple occasions. 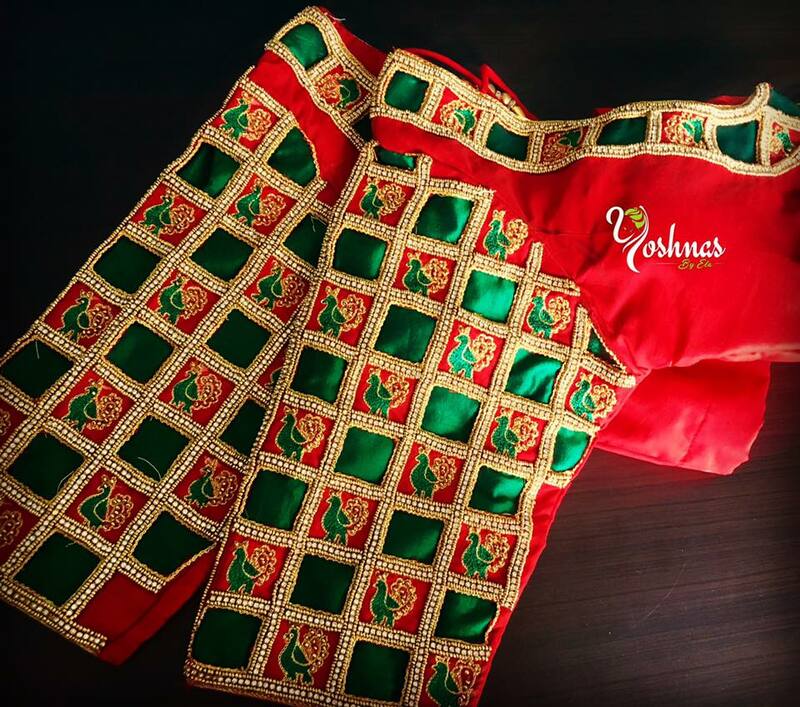 This blouse design is a beautiful combination of green, red and golden colors. It has the air to make you look lively and bold at the same time. You can pick this design for wedding rituals or a temple gathering. The jewelry selection is suggested to be heavy along with hair tied in a bun or lose curls. This blouse design is meant to show off to the crowd. You need to tie hair up in a clean bun. The jewelry and the makeover neither need to be very dull nor very bright, the back of the blouse has it all. This blouse design could be chosen with plain sarees or sarees with little work with a broad border. You can pick this blouse design especially for the days you don’t want to cover your back instead flaunt it boldly. If you keep the back of the blouse occupied, you need to keep rest of it plain with the broad border at the sleeves. You can always find this transparent back too perfect for any occasion. 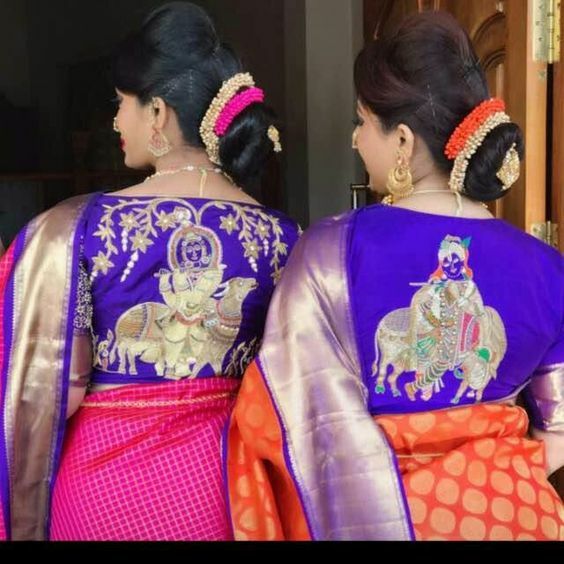 Now forget about the animal prints or motifs, if you prefer multicolored Kanchivaram saree because this is the design you would want to consider. 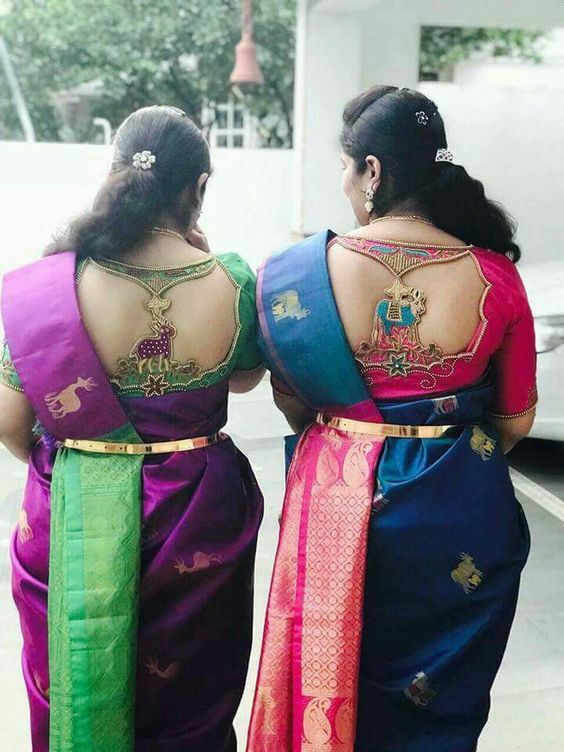 You can always fill the peacock with the colors of your saree and can also enjoy the bold back altogether. 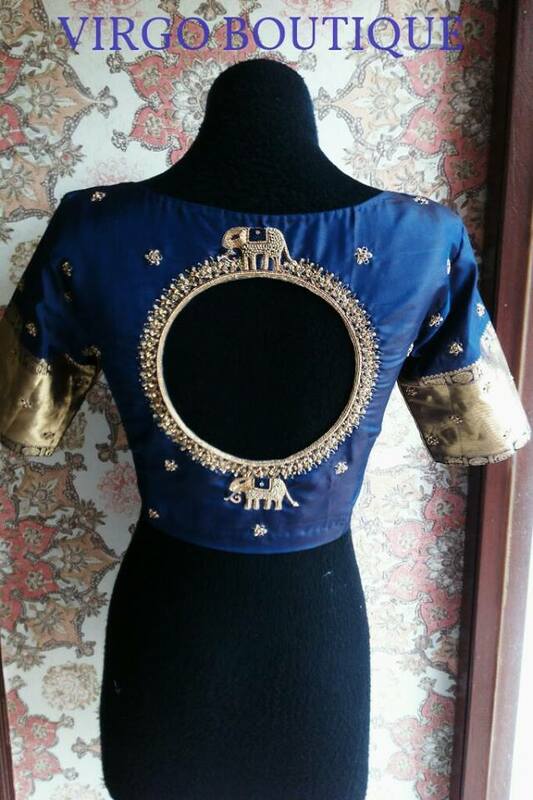 This blouse design with a bold yet smart back could be picked over a saree with simple embroidery. 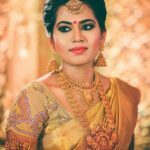 It is preferable to choose a saree with the same floral patches all over it or you can also pick a heavy saree with plain pallu. The makeover and jewelry need to be light to maintain the elegance. Here comes the blouse design for a heavily designed saree. This design would suit best with a pleated pallu so that you can flaunt your sleeves. 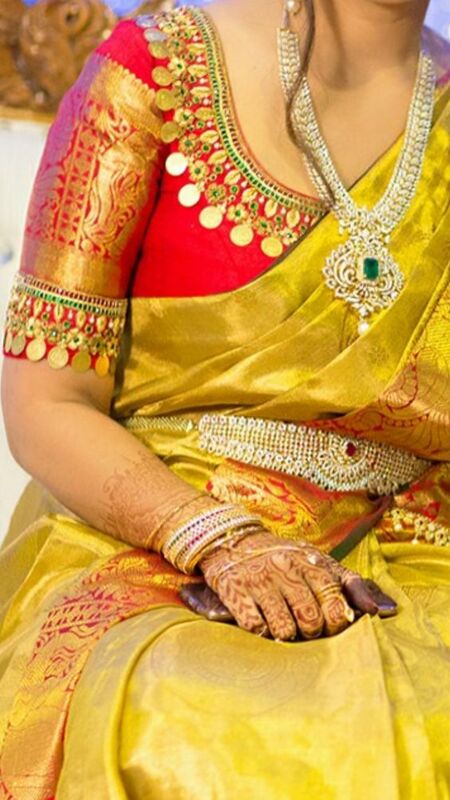 Bright golden colored saree might match perfectly with this design to put you out of the box. 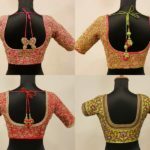 If you choose to pick this blouse design for an occasion, the saree is suggested to be plainly designed with no stones over it. The jewelry selection need not be very heavy to maintain the royalty of the blouse. This plain yet bold blouse design is perfectly suited with a matching colors simple saree. This blouse design is stitched to offer you a simple yet exceptional. The jewelry to take over this blouse need not be heavy. You need to tie a bun to flash the liveliness of this blouse design. 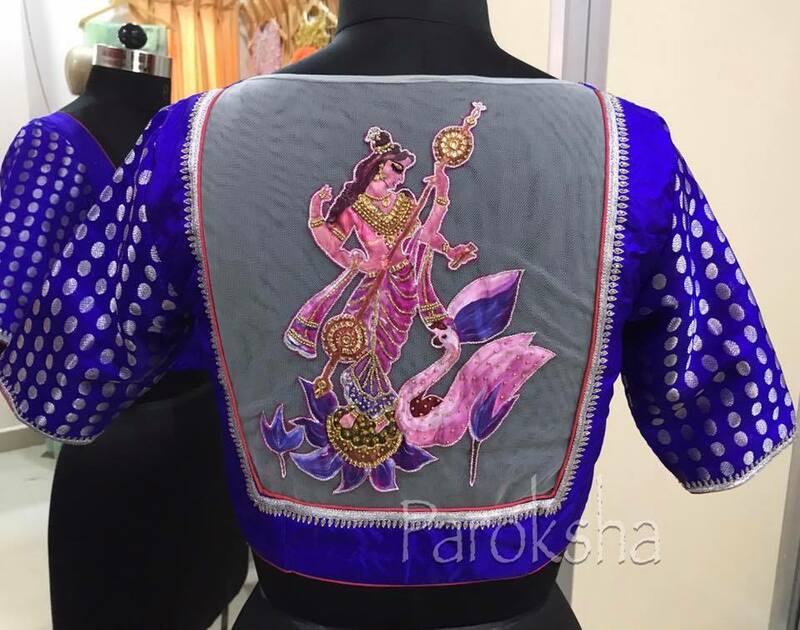 You can pick this blouse design over any silk saree. The collar of this design so defined that you only need to find a pendant over this blouse. You can choose a blue and pink shaded saree with the golden border or golden as a base shade to go stellar. 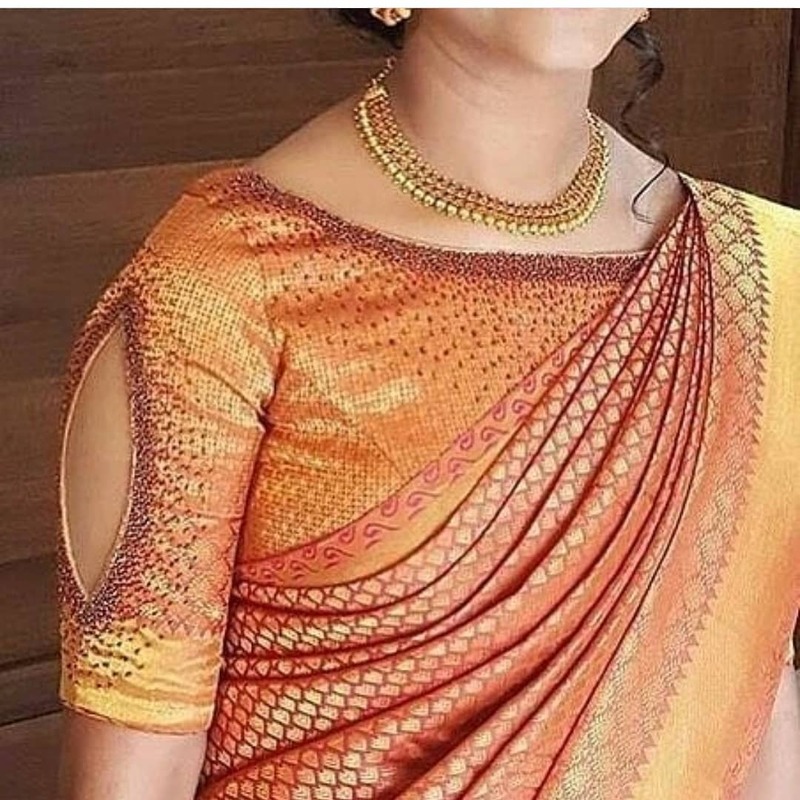 This blouse design could be chosen over a designer silk saree with a plain and bordered pallu and if you choose so, heavy jewelry could be worn over the attire. 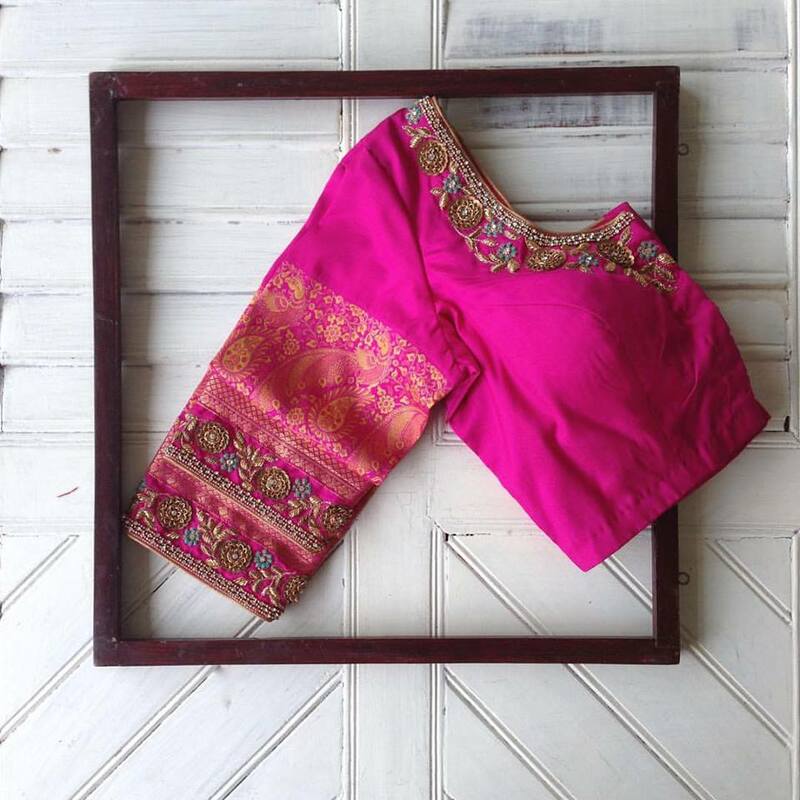 A golden bordered saree with mixed red and blue color would be suggestible to be chosen for this blouse. The net on the back is preferred to give you a bold look. This excellent combination is designed in a way that you would forget all other bold designs. This design is stitched to give a superior aura. 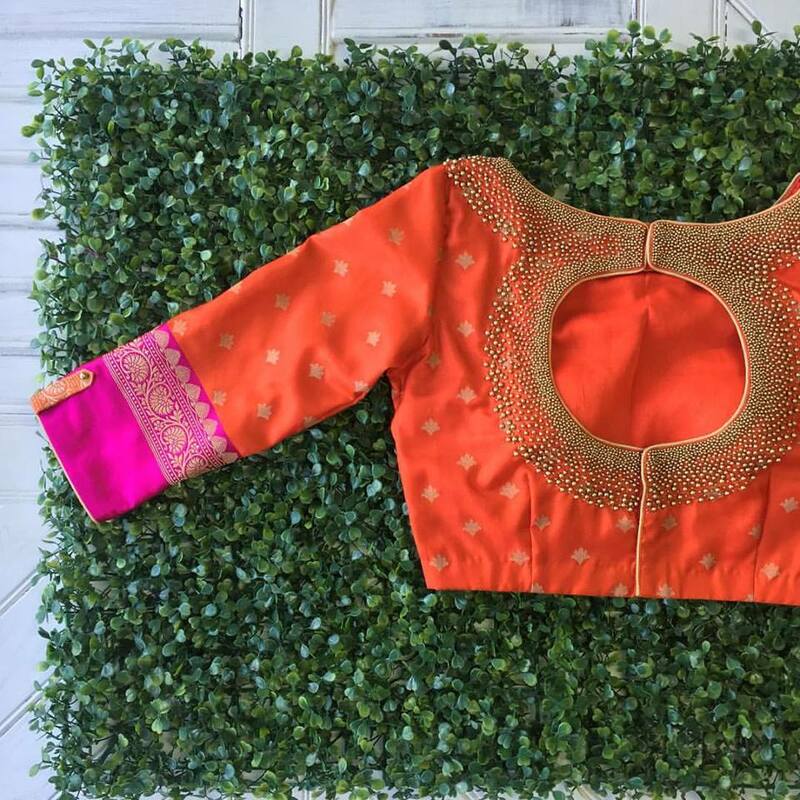 The blouse design would go perfectly with an orange colored saree along with pink details with the golden border all over. This blouse is so designed with ethnicity to give the crowd an eye-catching sight. White color always makes the wearer look simple and quiet instead when it is combined with red, it gives an ethnic aura. 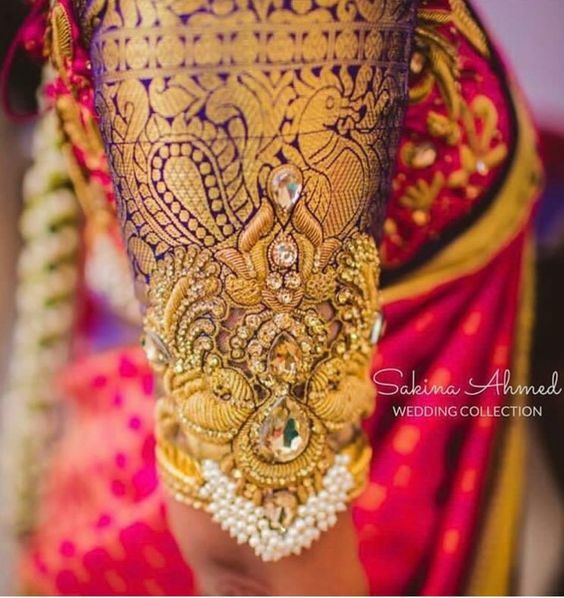 This blouse design could be worn with a golden and golden shaded saree which might include green color too. 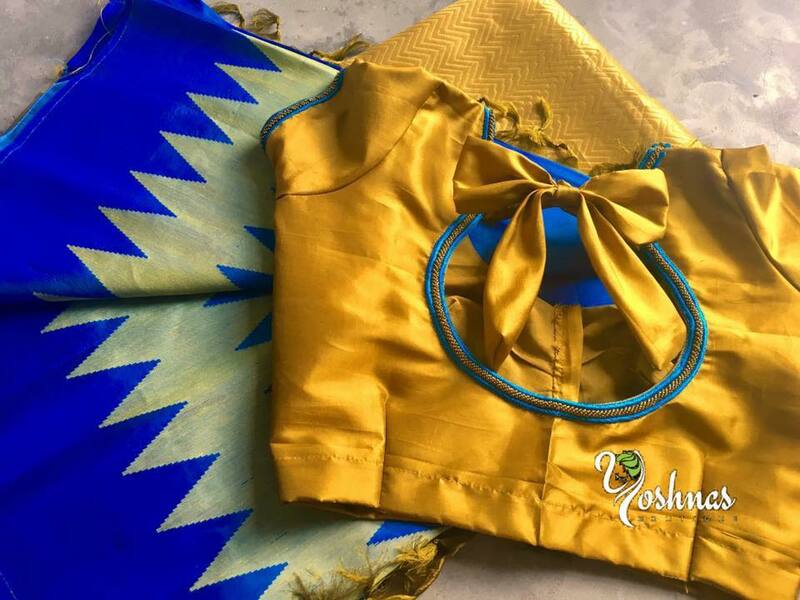 Neglect all the blouse designs but this, if you want a perfect matching blouse for a blue-golden shaded or a purple-golden shaded saree. The design of this blouse asks for perfect braids with garlands all over the pleats. The floral design of this blouse could be chosen to be on the saree. This blouse design is smart in its nature. It is suggested to be chosen for a plain black saree with golden border and red piping or over a golden and red shaded saree. The jewelry could be worn heavy with a light makeover. The blue base with the silver design is stunningly prepared for multicolored saree with bright shades. Braids or clean bun would suit perfectly with the attire. A very heavy makeover would spoil the grace of the blouse. You need to lighten up things with this blouse design to show the ethnicity of this blouse off. If you want something unique, here you go. 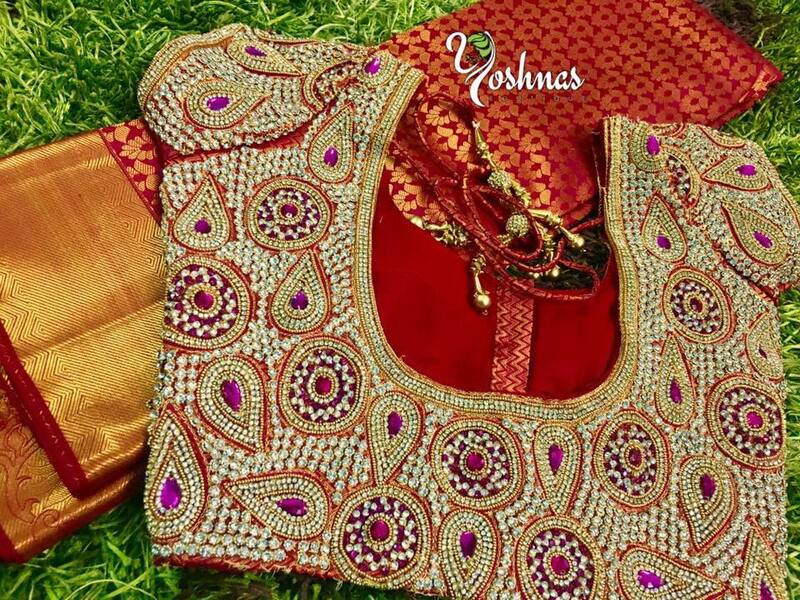 This blouse design is prepared to give you a stunning yet ethnic look. The slit on the sleeves would be matched with a pleated pallu. 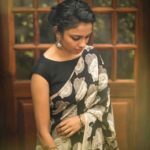 You don’t need to put on heavy jewelry or heavy makeover if you choose to wear a lightly printed saree, which is highly recommended. Blouse completes your silk saree and thus carries a need to be chosen wisely. Not only the design but the fitting also matters. Keep every minute detail prominent and get ready to be the showstopper on next party. 16 Super Chic Off-Shoulder Blouse Designs For Sarees!